The Major League Baseball Trading Deadline is one of the pivotal moments in every team’s season. Teams that are contending aim to upgrade, teams that aren’t aim to rebuild. The Nationals’ lead in the National League East is practically insurmountable. As the only team in the division above .500, the Nats don’t have much to worry about. With batters like Bryce Harper, Ryan Zimmerman, Daniel Murphy and Anthony Rendon and their big three starters, Max Scherzer, Stephen Strasburg and Gio Gonzalez all playing exceptionally well, the Nats are stacked. Still, their bullpen would benefit from another strong arm. Pat Neshek of NL East rival Philadelphia is being shopped, his herky-jerky mechanics give the team another option at closer. The Cubs’ first World Series hangover in 108 years was a lot stronger than anyone expected. The team that was dynamite all last season has taken a while to get its bearings, but it appears that it finally has. Chicago’s offense has come back to life, as has its pitching, but Joe Maddon’s rotation needs a fresh face. Texas’ Yu Darvish is on the market and the Cubs are reportedly in deep on him. Adding the crafty Rangers ace would breathe new life into the team and could recharge the likes of John Lackey, Jon Lester and Jake Arrieta. If the Cubbies want to repeat as World Champions, this move is a must. The Brewers are the surprise of the year in the NL and were atop the Central for almost the entire season until Chicago overtook them just recently, Milwaukee took its lead back tonight. The team’s offense is well-built behind Ryan Braun, Travis Shaw, Eric Thames and Domingo Sanatana. Its bullpen is also solid with 2017 All-Star Corey Knebel and Neftali Feliz locking down leads. The only weakness in Craig Counsell’s team is in the rotation. The Brewers do not possess a standout starter, but have managed to succeed with an at-best modest five. If the rumors circulating that the team is interested in Detroit’s Justin Verlander are true, that would be absolutely huge. Adding a veteran stalwart like the 2011 Cy Young-MVP winner would silence any doubts about the Brew Crew. The Dodgers are roaring along at an impressive rate and own the NL West by 11.5 games over the D-Backs. While a team that owns a .690 W% obviously doesn’t need much help, an injury to Clayton Kershaw gives the Dodgers a big hole in the rotation. Alex Wood has had a great season to bolster the starting five, but Kershaw is the glue that holds things together for Dave Roberts. The Dodgers need to fill Kershaw’s void. The most high profile pitcher on the market is Oakland’s Sonny Gray. Imagine what this team could do if they add a pitcher of that caliber to a rotation of that caliber. Arizona has been another huge surprise this season, and to the team’s credit it already addressed its need. The Diamondbacks have great pitching in Zack Greinke and Robbie Ray and a solid bullpen. Their offense has also been strong with Paul Goldschmidt, David Peralta and Jake Lamb leading the way. The team could use another big bat to further deepen its lineup, and that’s exactly what it did. Arizona made a trade with Detroit to acquire slugging outfielder JD Martinez, and he has already paid dividends for his new team. Los Angeles may run away with the West, but the D-Backs appear to be headed back to October via the Wild Card, and they could play spoiler along the way. Colorado’s impressive run atop the NL West has ended, but the team is still poised for the postseason with the second NL Wild Card safely in hand. The Rox have always boasted a talented offense with Nolan Arenado, Charlie Blackmon, DJ LaMahieu and Carlos Gonazlez all slugging away. It’s always been a matter of pitching. The Coors Effect, I know I know. Denver is a very tough city to pitch in, and that is why Colorado needs to add a starter to ensure an end to its playoff drought. Verlander, Darvish and Gray are all options to be considered. The Red Sox are the laughing stock of the MLB currently with all the drama surrounding David Price’s ridiculous feud with Hall of Famer Dennis Eckersley. In order to bring people’s attention back to where it should be, Dave Dombrowski needs to make a big trade and get Boston a badly needed bat. Boston’s pitching has been great with Chris Sale putting up a Cy Young performance. The team’s batting has been very inconsistent, however, and the Red Sox need a big bat to spark things. The team lost the Todd Frazier sweepstakes to their rivals in New York, but can’t afford to be perturbed. They announced the acquisition of Eduardo Nunez from the Giants during tonight’s game. Nunez hits well and will lock down the team’s third base position, a place where they desperately need stability. The Yankees have gone stone cold over the last month, but are still in contention for both the East and the Wild Card. Aaron Judge is having just about as good a year as possible and the team added Todd Frazier in a blockbuster with the White Sox, but the Bombers’ pitching has fallen off and needs a jolt. The team is reportedly in talks for Sonny Gray, and it would be a great move on Brian Cashman’s behalf. It would take pressure of Luis Severino and CC Sabathia and give the team’s bats more breathing room as well. The Yanks have some stiff Wild Card competition, they can’t afford to not make another move, even if it means giving up even more of their farm. The Rays have managed to keep things interesting with a rotation that honestly isn’t very impressive. Obviously they have Chris Archer, and he does everything he can for his team, but he needs help. Tampa has an underrated offense, with franchise stalwart Evan Longoria leading the way alongside 2017 All-Star Corey Dickerson, but none of that will matter without good pitching. Johnny Cueto of the Giants should be attracting the Rays’ attention. Not only is he a verified talent, but he also knows all about the American League from his time with the Royals and could be a huge addition. It’s been an up-and-down season for the defending AL Champions, but Tito Francona’s team has put it together and is back atop the AL Central, albeit not by much. Pitching has been the team’s strength, as always. Corey Kluber and Carlos Carrasco have steadied the ship and allowed for Francisco Lindor and Jose Ramirez to shine on offense. Andrew Miller leads a stellar bullpen. Adding more protection in the batting order would be a smart move. 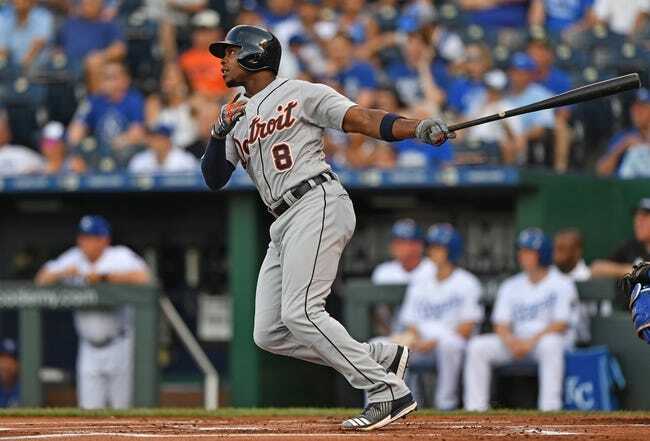 Justin Upton of division rival Detroit is a possibility. He would add power and strong defense to the Tribe’s outfield and take pressure off Edwin Encarnacion in the homer department. He also (obviously) knows all about the AL Central. It may seem counter-logical for the Tigers to send one of their best players to a divisional foe, but for the right price, anything is possible. The Royals have fought hard and reinserted themselves in the AL Central picture. Eric Hosmer and Mike Moustakas have been brilliant in the batter’s box and Jason Vargas has emerged as a new ace for Ned Yost. Kansas City’s bullpen, however, is rather suspect. Kelvin Herrera has been great closing out games, but beyond him there’s not much. The market for relievers is a good one, and the New York Mets’ Addison Reed is the best fit for Kaufmann Stadium. Reed has been terrific since taking over the closer role when Juerys Familia went down. He would form a great setup man for Herrera. It hasn’t been a flashy season for Paul Molitor and the Twins, but the team is right in the thick of it thanks to the efforts of Ervin Santana, Miguel Sano and Eddie Rosario. Adding another bat to go alongside the latter two players would be a great move. Yonder Alonso is being shopped by the Athletics. He was an All-Star this year and is putting a fine season together with his 21 homers, making him a great fit for a team that needs supplemental power. Time for a shameless NASA pun. The Astros have rocketed to heights no one imagined this year and are the best team in the American League. With Jose Altuve and Dallas Keuchel doing business as usual and a number of breakout performances (George Springer, most namely), Houston is scary good. Very similar to the Dodgers, had it not been for the injury to Carlos Correa I would say this team can’t be improved much at all. But with their stalwart shortstop out with a torn thumb ligament, the ‘stros could stand to find a fill-in. 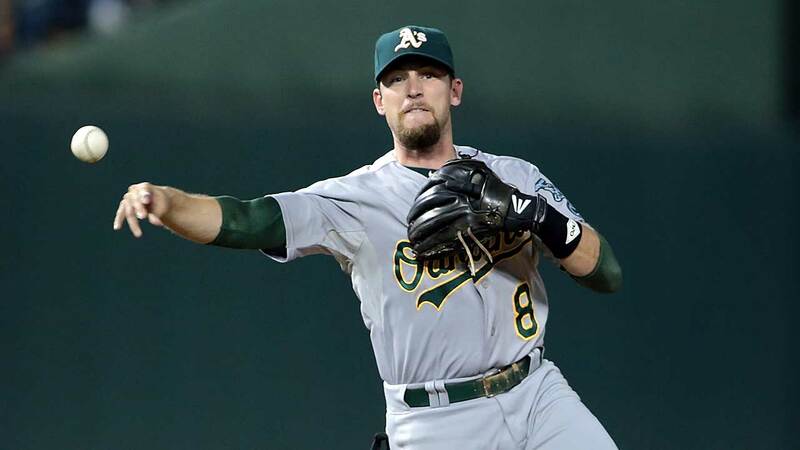 Oakland’s Jed Lowrie is an option and seems to be the ideal man. He obviously will not replicate Correa’s production, but Houston bringing him back will solidify their infield until he returns. The Astros are bound for glory in 2017, and stopping them from achieving it will be no small task.